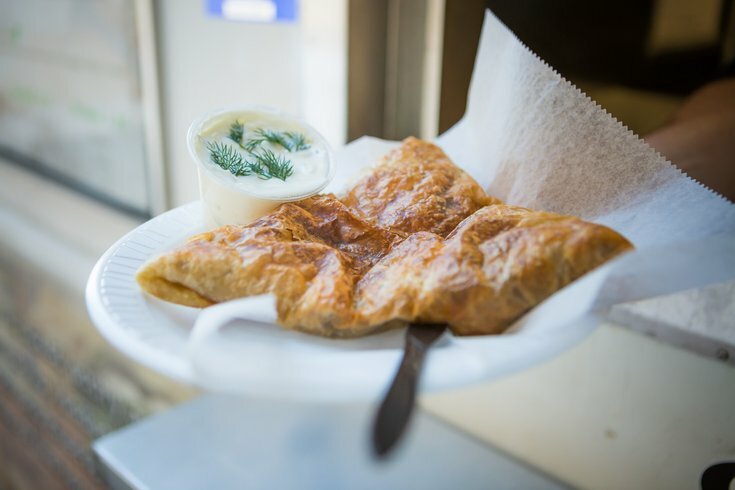 A savory filo dough pastry filled with vegetables and a side of tzatziki from a local food truck. The 2018 Sea Isle City Food Truck Invitational will take place this weekend, from Friday, June 22, through Sunday, June 24. Head to Kix McNutley's, located a block from the beach, to enjoy food from more than 15 food trucks and alcoholic or non-alcoholic beverages from the bar. RELATED: 2018 Jersey Shore beach guide: Sea Isle City | Wawa cocktails: Boozy, cheap drink recipes using mixers from Philly's favorite convenience store | Ocean City named 'happiest' coastal town in the U.S.
Below is a list of participating food trucks. • Five Sisters Food Co. There will be live entertainment and activities for kids, too, and dogs are welcome at the outdoor event. On Friday and Saturday, the food truck fest will take place noon to 9 p.m. On Sunday, it will end at 5 p.m.